What a difference three years makes. Back in 2015, when the champions of Leinster met the kingpins of Connacht, 164,197 fans flocked to Croke Park on consecutive weekends. Dublin v Mayo - the most captivating football rivalry of the decade - was "the only gig in town," as Tommy Lyons might say, and not just because he has a foot in both camps. 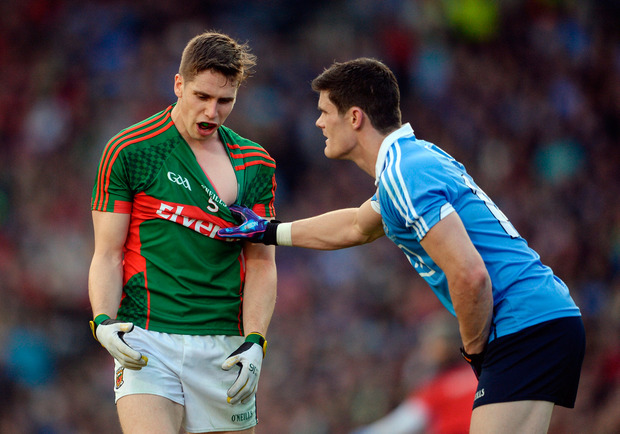 That year's All-Ireland hurling final took place a day after the Dublin-Mayo semi-final replay. Even though Croker was again full for the small ball, the entire build-up to hurling's biggest day was eclipsed by talk of Diarmuid Connolly and Lee Keegan and all the intrigue that went with Connolly's various nightly trips to the CHC, CAC and DRA. There was enough drama to obliterate Netflix. Last Saturday at GAA HQ, the best of Leinster and Connacht met again - and just 54,717 were there to see Dublin and Galway pursue a place in the All-Ireland final. That constitutes a staggering drop in public interest for a semi-final involving the Dublin footballers, who have enticed over 80,000 to every one of their last-four encounters in an unbroken sequence starting in 2010. In other words, for nine games running, including that 2015 replay, Croker has been a virtual full-house for a Sky Blue semi. Why the alarming fall-off? Are the Dubs becoming blasé about their never-ending glory days? Were Galway wallets empty after all their hurling escapades? Had Tribal optimism disappeared after that Monaghan mauling? Have neutral supporters nodded off in the realisation that no one can stop this inevitable four-in-a-row coronation? We reckon all of the above contributed to that one-third decrease, measured against last year's full-house against Tyrone. After Saturday's nine-point cruise, Jim Gavin said he hadn't noticed the empty swathes of seating because he doesn't tend to look up during games. "From what I could hear we'd some fantastic support there," the Dublin manager maintained. "I thought the supporters really got behind the team again, no more so than recently up in Omagh or down in Salthill or Castlebar or Portlaoise." And he's right to the extent that Dublin's diehard army have continued to follow their team in considerable numbers, right through the league and beyond. But Dublin attendances have been dropping in Leinster for several summers as that event lost any semblance of competitive intrigue, and now that trend has extended to the All-Ireland. A drop-off was almost inevitable for the 'Super 8s', but last Saturday's crowd should be a real concern; not just for the bean-counters, but for all of us who live for full-house, end-of-season drama where the outcome is cloaked in doubt until the very end. Here's the thing: you can't blame Dublin for being so consistent, so metronomic, so blindingly magnificent. But even brilliance loses its wow factor in a competitive vacuum, and the inevitability attached to almost all of their matches appears to have sapped the interest of everyone else. That's why Mayo are now lamented (not just by Mayo folk) in their absence. The other problem is the standard, not to mention style-of-play, favoured by all the rest bar Dublin. Sunday's 49,496 crowd for Tyrone-Monaghan was the first time since 2008 that a football semi-final attendance has dipped below 50,000. Notwithstanding Monaghan's small population, it was a disappointment, fostering the impression of a parochial bun-fight that energised the two counties involved and no one else. Is this what the race for Sam has become?